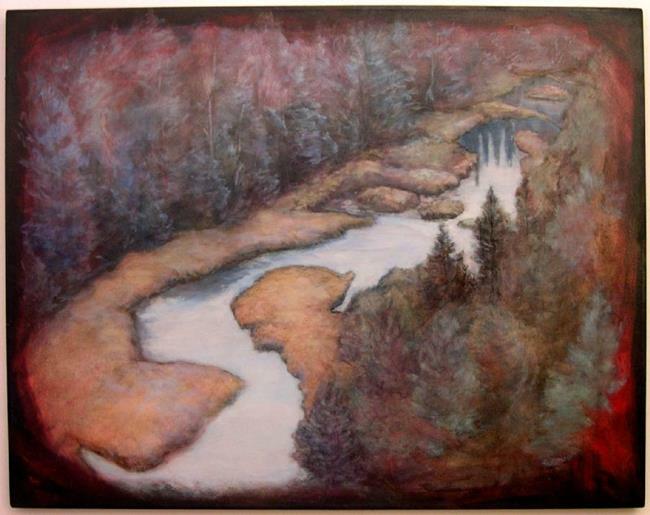 I want the viewer to be drawn into the painting, up the river, into the forest.... . 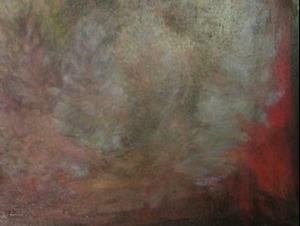 The vignette effect began as a happy accident and turned into a series to which this painting belongs. 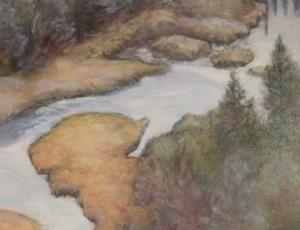 It focuses the viewer's attention and draws you into the painting with an eagles-eye view. 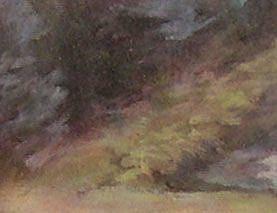 My painting technique uses multiple glazes of transparent color, giving the painting depth and translucence.